wai~! eternal-chan got back desu~! wai~! but i like most is the behid the window .. It is good two people. 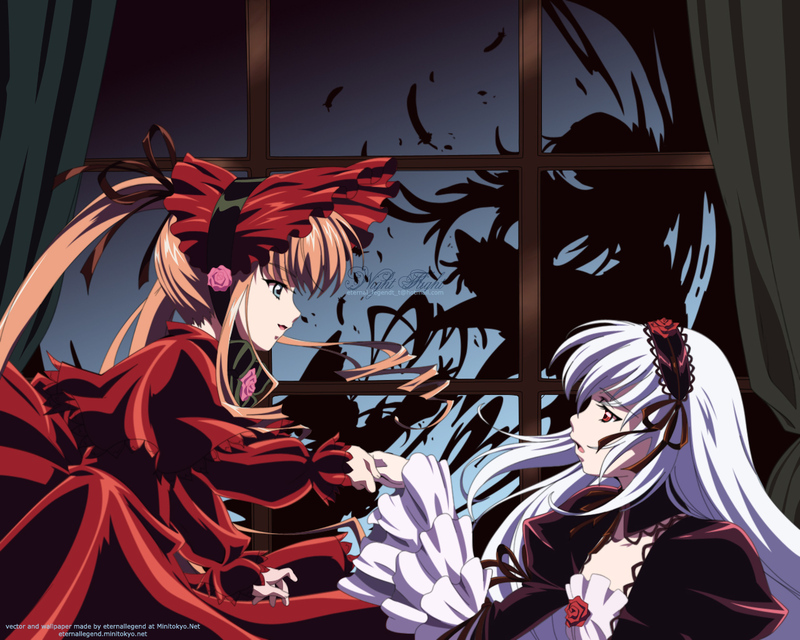 yay Rozen maiden! i love what is behind the window. it seems Shinku wants Suigintoh to forget about the past they had and start a new friendship. =D its very interesting! So unusual^^ I love it, its great and the colors are perfectly chosen^^ Wonderful work eternallegend^^ and all the details are amazing^^ Keep it up! Even though I felt the show this wallie is based on is too transparent an effort to deal with a character that probably got a little bit more popular than the creators intended (at least, that's what I'm guessing) you did a very commendable job on this wallpaper. Very good. I like very much, is wonderful and beautiful. I'd like this a lot more if your e-mail wasn't sitting right in the center of it....it sort of ruins the mood. I can understand watermarking your work, but 3 times is a touch excessive. Here we go XD a new work from eterna! I luv it so much. Beautful! I don't know much about this series, but this as a lot of emotion and mystery. Great vector and congrats on the feature! It's one beautiful wallie~~ ^^ just that I think the colours are a bit kinda pale.. but anyway, it's a great job, keep it up! no more words for describe your work this time! Thanks, Is I Want My Rozen Maiden WP Collection. wow, good job,congratulations vector are beautiful, the bottom I am enchanted, thaks.